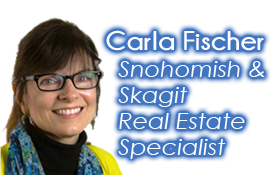 Keeping current on the local real estate market is what helps Carla Fischer to provide the best service possible for all of her real estate clients. Attention to detail and good communication are essential for any real estate transaction. She prides herself on being accessible and returning calls and emails quickly. In an ever changing market, time is often of the essence. Assisting you to achieve your goals in your property search is her primary role. What Carla enjoys most about being a Realtor is being able to help her home buyers find the property that will work best for their specific needs. Turning over the keys to a new home owner is both exciting and satisfying. Thinking of selling your house? Are you in the market to buy a new home? She would love to help. Throughout most of her husband’s military career they lived in Oak Harbor on Whidbey Island. They chose to settle in the Skagit Valley after his retirement to be closer to the I-5 corridor as Carla worked for many years in Everett and Lynnwood making her very familiar with Snohomish County area. Living in Skagit County has allowed her to stay knowledgeable about Mount Vernon, Burlington and Sedro-Woolley as well. 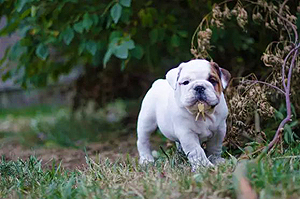 She is prepared and happy to assist you with any of your real estate needs. The natural beauty of the mountains and waterfronts of this area makes it a pleasure to pursue her hobby of photography. Having been passionate about animals all of her life, Carla is also a regular volunteer at NOAH Animal Shelter and enjoys spending time with their grandchildren and their many pets.